This beautiful old window has outlived its original frame and is now resplendent in a simple unfinished pine picture frame for display and shipping purposes. 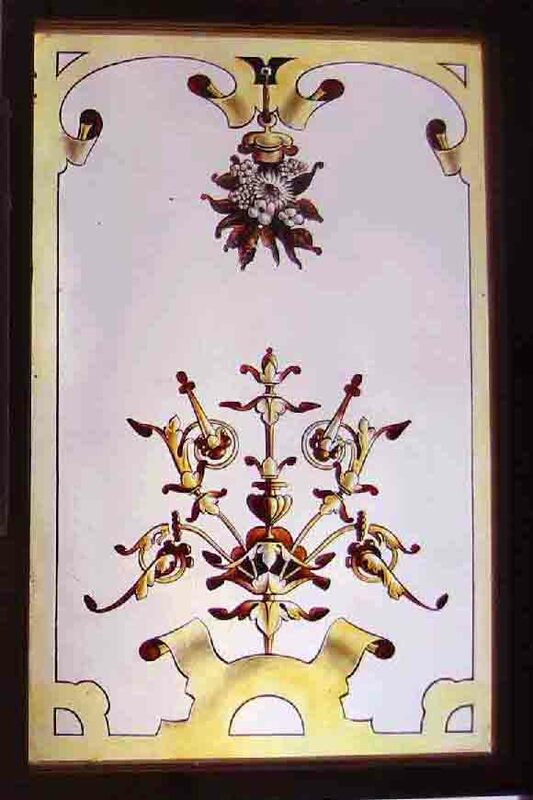 It was removed from a property in Yorkshire during refurbishment.Highly decorative, featuring Italian influenced painting. The glass has no chips or scratches and the leading is in excellent condition. . The frame measures 21 1/2"W x 32"H The glass measures 18 1/2" x 29" . Packed weight 9K VMW 3701 pack This Antique Window Shipped and packed to USA would be $199. You can buy this now in your own currency by clicking on the credit card icons (Paypal if you prefer) below the photograph or e-mail sales click here to arrange payment by personal check ,money order or bank transfer. Shipping includes full insurance.